How Can Jennifer Help You? Jennifer has advised hundreds of international applicants to acceptances at top graduate programs. 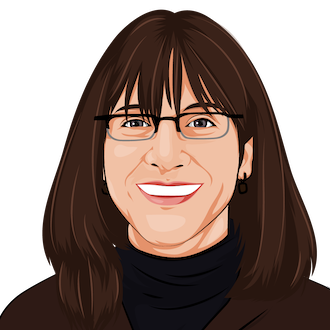 She has been working as a consultant at Accepted since 1998, is the author of The Techie's Guide to MBA Admissions, and is a certified resume writer. Jennifer's home base in Israel makes her the perfect match for her international clients who have hailed from China, Korea, Thailand, Vietnam, Dubai, Iraq, Afghanistan, India, Singapore, Hong Kong, Africa, Australia, New Zealand, the former USSR, the US, Europe, and Israel. Let us know who you are and what you need help with. Jennifer will contact you ASAP to discuss which services best meet your needs.